In Chicago and other cities, nutritional experts and child safety advocates have concerns regarding menu items and the sugar content of foods provided to children in breakfast programs. While having a breakfast available for low income children as well as other children is important, nutritional experts warn of the sugar content of the food items offered through these programs. Furthermore, children may pick up bad eating habits and preferences when high sugar content items are offered like doughnuts and sugar laced cereals like Frosted Flakes, Fruit Loops, and other cerebral brands. Why is this a problem? It is because one of the biggest health risks that has invaded the United States is obesity in both children and adults. A cereal like Frosted Flakes may have some fortified vitamins and minerals to its content; however, these cereals are also loaded with sugar / carbohydrates that combined with other bad eating habits can lead to weight gain, obesity, and in many cases diabetes. 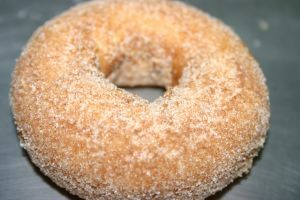 You can read more about the menu items and concerns about breakfast items at Chicago Public Schools Serving Up Doughnuts and Sugary Cereals to Children.